Inspired By is a series examining the creative process and perspectives of the people who influence the Apiece Apart studio. We’ve long followed the work and photography of Valeda Beach Stull — whether through her professional shoots or off-the-cuff snapshots, she has a way of hinting of a life lived with open eyes, curiously examining and discovering beauty in unexpected places. 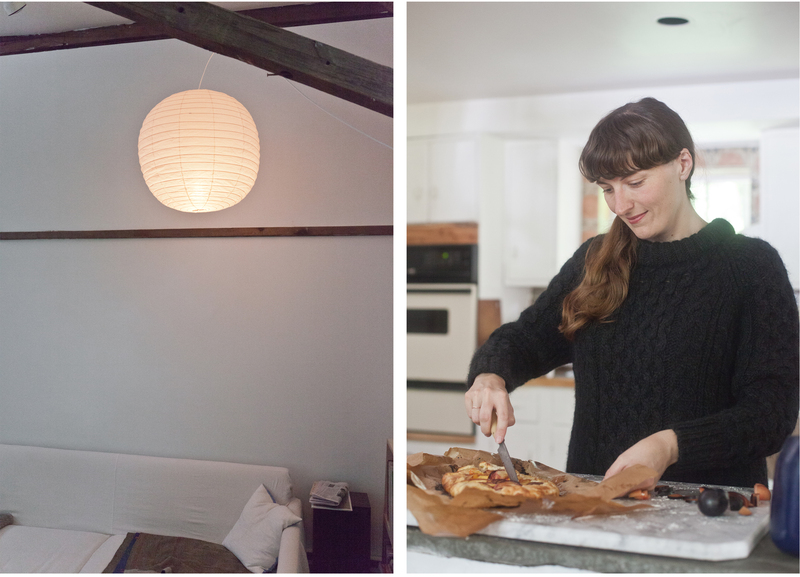 Valeda, who for years lived in Berkeley, CA, made the move in 2014 from the Bay Area to a farmstead in Woodstock, NY, a shift from city life to truly living off the land, planting roots in a handmade house on three acres in the Hudson Valley. My career has definitely had its ebbs and flows across a number of disciples over the years, but always involves hard work and dedication regardless of the job itself. I’ve held positions as a researcher, an ESL instructor, an interaction designer, and now I work as a photographer. I am also formally studying herbalism, which has been in the making after a few decades of casual, informal study. What binds all these pursuits is a very sincere interest in people, how they work, and the desire to help make the world a better, brighter, more thoughtful place. Even though my partner is from Los Angeles, the East coast is significant to both of us since it’s where our families are originally from. Upstate seemed right since we didn’t want to be in the city but wanted to be proximal enough to visit as much as we wanted without too much trouble. We found our house online and flew out to see it within a few weeks…After looking at properties in California for so long we were floored—it was half the price with ten times as much land and living space and we just went for it. [Since moving here,] it sounds strange, but the biggest change is that I find myself staring out the windows, into the trees, a lot. At times it feels like a mildly catatonic behavior, but now I understand it as a kind of somatic or sensory meditation. I also wax and wane with the four seasons more than I ever could in California; introspection in the winter, expansion and spontaneity in the summer. I love how transitional autumn and spring are, they allow me to cycle through interests, inspirations, and attitudes quickly. 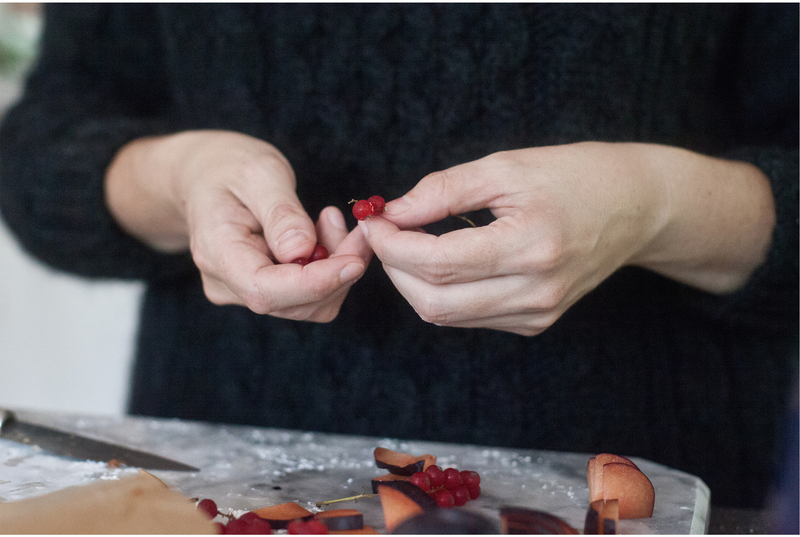 Regardless of the month or the season we are always up to something in the kitchen: cooking, baking, preserving. The kitchen really is the hearth of our home. I make a lot of tarts and galettes year-round, and I’m a purist and stick to an all-butter crust for my pastry. I use Alice Water’s dough recipe, with one minor addition: I add a little cold apple cider vinegar to the ice cold water portion of the recipe (I learned this from my friend Emily of Nothing in the House). For the filling I use what’s fresh or whatever I have on hand. When you visited I had just bought some beautiful plums at Montgomery Place Orchards across the Hudson (our plums are still growing! ), so I used those. Other favorites of mine for filling are rhubarb with a scraped vanilla bean, wild black raspberry, or apricot with fresh tarragon. While the dough is chilling, prepare your fruit. Toss the fruit, sugar, flour, unsalted butter, lemon juice, and lemon zest for the filling. Set aside (do not refrigerate). After the dough has chilled, roll the flattened ball into a 14-inch circle on a lightly floured board or countertop; the dough will be a little less than 1/8 inch thick. Move the dough onto a baking sheet before returning it to the refrigerator for a final ½ hour chill. Preheat gas grill to 400 degrees fahrenheit (205 degrees celsius). Remove the rolled out dough from the refrigerator and arrange the fruit in the center of the dough circle (retaining any liquid or excessive juice from the fruit for another use…I add mine to sparkling water), leaving a border of about 2 inches. Fold in the sides of the dough to cover the fruit partially, making sure not to leave any valleys where the fruit juice can leak out. Brush the egg wash over the pastry edges, and then sprinkle with the cane sugar. 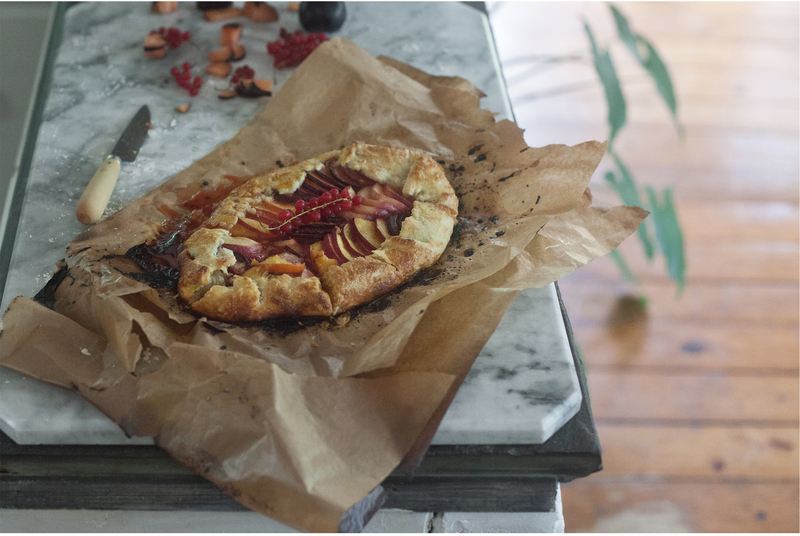 Move the galette to the gas grill, and bake it with the lid closed until the crust has visibly puffed and baked to golden brown and the juice from the fruit is bubbling inside, about 20 to 35 minutes depending on the efficacy of your grill. Enjoy.